SharePoint turned 10 years old recently and is now arguably among the most successful software ever in terms of sales and installations. There is almost universal agreement that the SharePoint 2010 platform is vastly improved from a technology perspective when compared to its predecessors. 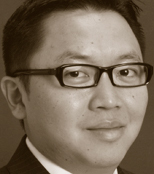 Join Dux Raymond Sy, Managing Partner of Innovative-e, as he discusses the danger of each of these pitfalls and how to avoid them in your organization's implementation of SharePoint.